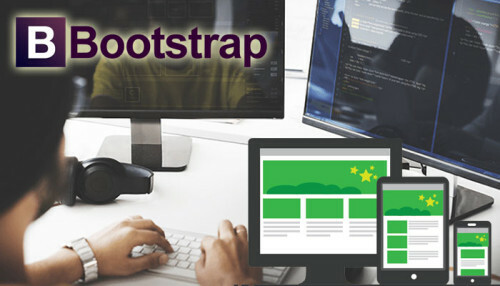 Bootstrap is one of the most popular mobile first front-end responsive web design framework that was first developed by Twitter, used for building responsive websites and web applications. It is free and open-source and offers HTML and CSS based design templates for buttons, navigation, typography, forms, tables, grids, and other essential interface components that make the entire interface components development process easier for web developers. OdiTek Solutions is one of the top IT company, which provides the design and development services in the Twitter Bootstrap framework. The company has served many national and international clients by crafting visually impactful websites and web applications, based on the client’s custom requirements. We have developed a wide range of applications, websites, modules, layouts, etc. using a bootstrap framework. We have a team of highly experienced and dedicated developers in Java, HTML, and CSS who are capable of taking up the task of any complexity in bootstrap development. We have extensive years of experience in development and we offer the customized solutions as per the client's requirements. At OdiTek, we believe business growth depends on leveraging technology strengths and to cater to the ever changing needs of the market we keep ourselves very familiar with industry best practices and the unique needs of global customers. Based on our working knowledge & experience in web designing we develop the website in a professional way and make it stand out. We use bootstrap tools for creating websites and web applications as we provide our clients with an efficient responsive website that works well on any device. The Bootstrap web designs delivered by us are robust, thin, and superbly functional in multiple devices. Almost all our clients require unique web designs that are compatible with all devices. That’s why we choose bootstrap for developing all new applications and websites that help our clients across the world to reach their customers with multiple devices of varied sizes.